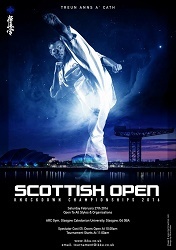 Year Scottish Open was a huge success. The tournament was a nice start to the year, and many used the tournament to get started. Date for next year’s tournament is already clear! And this means that you can plan in plenty of time which is a plus. This years tournament brought us some really good fights, take a closer look at the poster of 2016, and some of the fights from this year!